If there is anything Penn State fans will remember about the Nittany Lions' 4-3 loss to Wisconsin on Friday night, it's likely the postgame scrum, two coaches receiving penalties and a lot of words that are not in fact, fit to print. The entire postgame sequence's inception followed a late hit by Evan Barratt at the buzzer. If not late it certainly was close, and the resulting scrum and finger-pointing by Wisconsin coach Tony Granato led to a bench minor for his efforts, a shove by assistant coach Brad Winchester earned him a game misconduct, Barratt received the same. "We didn't like the hit," Granato said following the game. Lost within a world of angry coaches and emotional players, Penn State's postseason chances, which took a substantial hit as the Nittany Lions will now need to win two-straight against Wisconsin to make the Big Ten tournament semifinals. If that doesn't happen, Penn State will only have itself to blame, at least for Friday night's result. It was sloppy, a turnover led to a Wisconsin goal, a missed open net denied a chance to tie the game, poor work on the power play squandered chances to turn the tide. For 40 minutes Penn State was not the better team despite being the team with a better record, better numbers and even better on paper heading into the night. 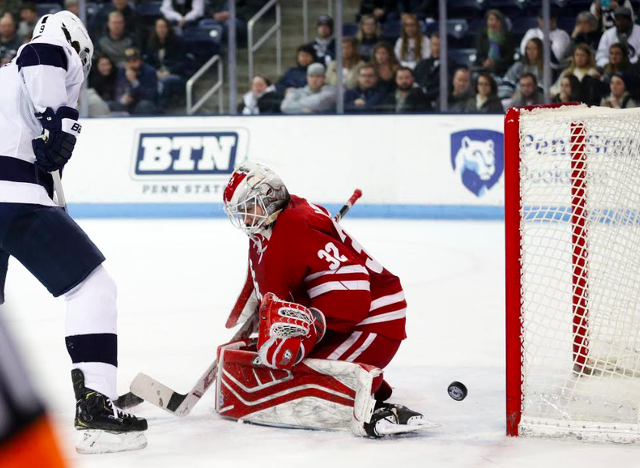 But the Badgers have had Penn State figured out most of the year, and the Nittany Lions only have one win to show for five games worth of back and forth affairs. To win two-straight would buck a trend that a lot of hockey has set. Optimists will point to an 8-2 victory against Wisconsin not long ago, but Friday night felt more the mean than the outlier. Nevertheless, Penn State tied the game with 7:48 gone by in the third period as Paul DeNaples and Alex Limoges scored four minutes apart to turn a 3-1 deficit into a whole new affair. But It wasn't to be as Peyton Jones' skate somehow couldn't quite hang onto a game-winning shot by Sean Dhooghe with just under two minutes to play, the puck barely crossing the line. Jones finished the night with 38 saves to his name. Even so, Penn State found itself with an offensive zone draw on the power play and the goalie pulled with just under 30 seconds to go. The ensuing pass would skirt out of the zone, a chance for overtime squandered. It was in many ways, fitting for Penn State's efforts to fall short because of a missed pass, a small detail not quite taken care of. The Nittany Lions deserved to tie the game, but the run of play favored Wisconsin. The result fell in line with that fact. But the series is not done, and neither is Penn State's season. For as far as the Nittany Lions will now have to climb, they have done it before and will likely do it again. If it's Saturday to force a Game 3 on Sunday remains to be seen. And everyone will find out in less than 24 hours. 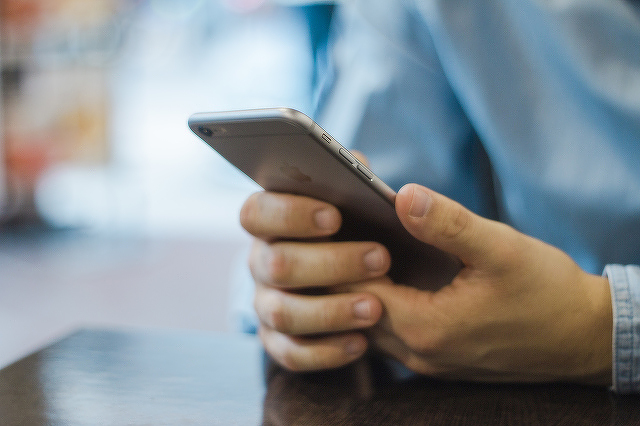 The Centre County Sheriff's Office is warning of a phone scam in which the caller falsely claims to be a sheriff's deputy. Multiple residents have notified the sheriff's office that they have received phone calls appearing to come from (814) 357-3049, with the caller portraying himself as "Deputy Brooks."